There are close to 6,000 MOOCs from 600+ universities around the world. Class Central is a website with an overview of MOOCs and reviews by learners that have taken courses. Learners can reviews and make an informed decision weather a course suits them. Class Central has made a list of Top 50 MOOCs of All Time to help potential learners for an online course . Thousands of reviews written by Class Central users form the foundation of that ranking. Medical Neuroscience ranks in the top 13 science courses! This are the reviews on Class Central. Learners award the course five stars. They also have a lot of praise for prof. White. 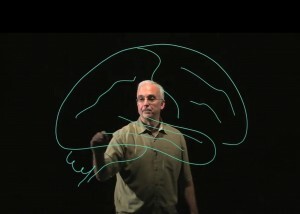 As a result Medical Neuroscience deserves a place in the Top 50 MOOCs of all time. In fact you can recommend the course yourself. To do that you post a review on the course. You can clarify the quality and depth of our free course to potential learners. A News Article was published to stress this The article is: ‘Review the course‘ |(May 15, 2016). It invites learners to review the course on two sites on the internet. There are two sites where you can post your review. There is Class central . At the moment of publication of ‘Review the course” (May 15, 2016) 6 reviews could be found, most of them give a 5 star rating. Now there are 15 reviews. In addition to that site there is CourseTalk. It is the world’s largest source for reviews of online courses and MOOCs. (more than 100,000 reviews of 40,000 courses). On CourseTalk there were at the moment of publication of ‘Review the course” (May 15, 2016) 28 reviews of the course. Now (July 20, 2016) there are 35 reviews. The course is rated with 5 stars. Learners praise Prof. White, the structure of the course, the TAs/ Mentors and the active learning community. The Top 50 MOOCs will be updated regularly as new courses are added and learners give new reviews. The learning community of our course shares the feeling that it is a wonderful course and wants to share that feeling with other potential learners. Therefore Let’s keep adding our reviews to the review sites and make it clear that it is an outstanding course.